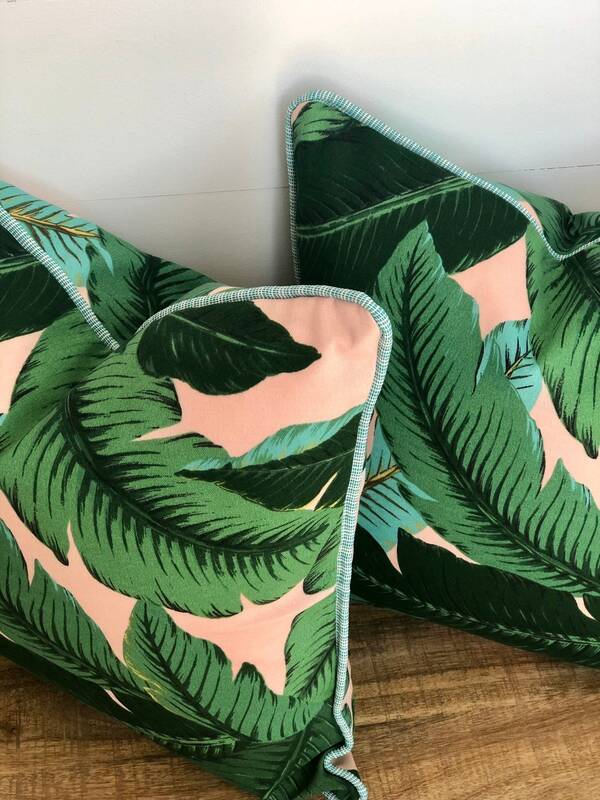 It’s time to brighten up your outdoor deck or patio with these scrumptious tropical outdoor cushions! 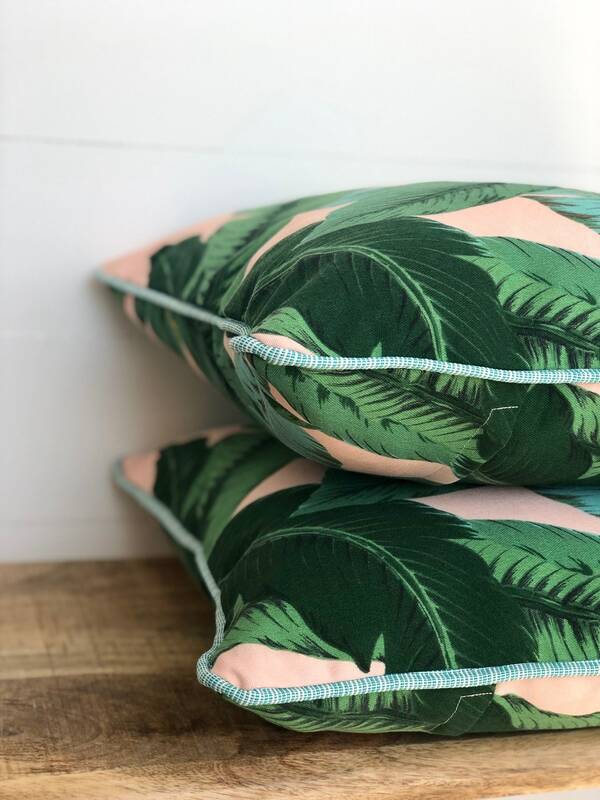 These cushions are lusciously framed with aqua piping around a pink and green palm print. 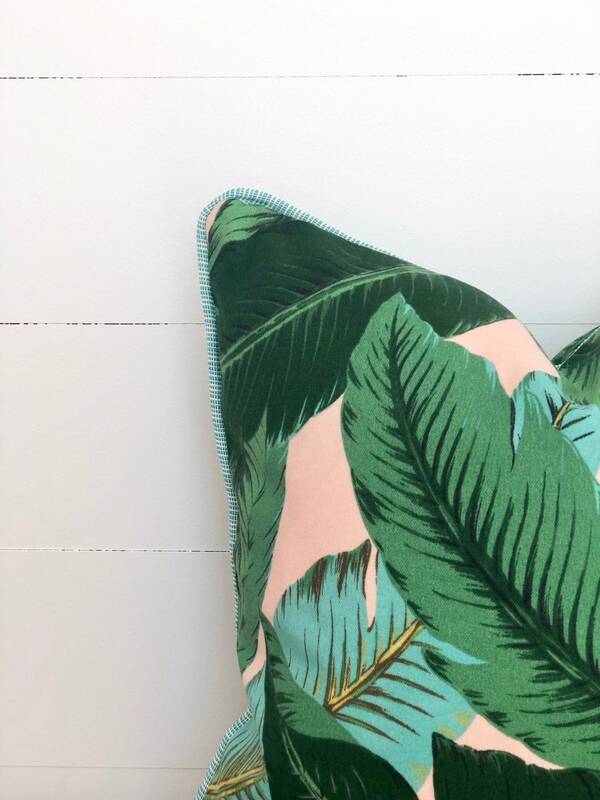 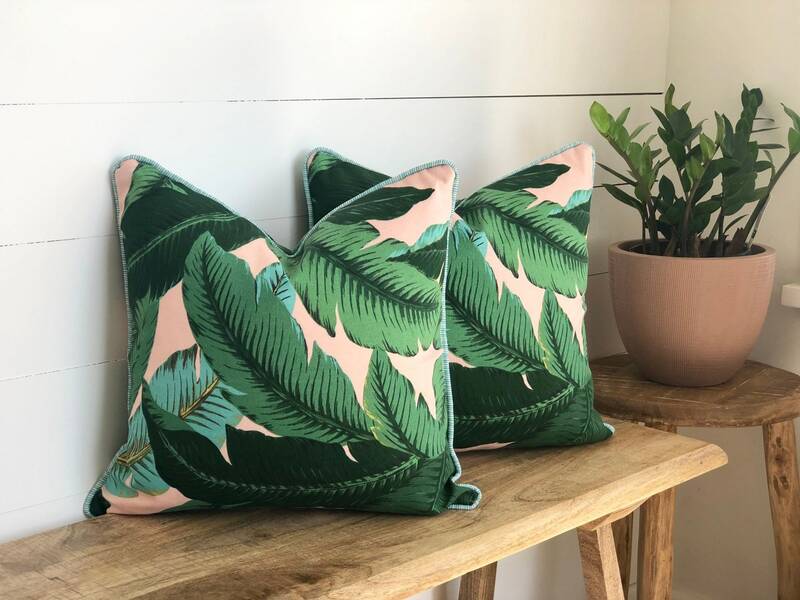 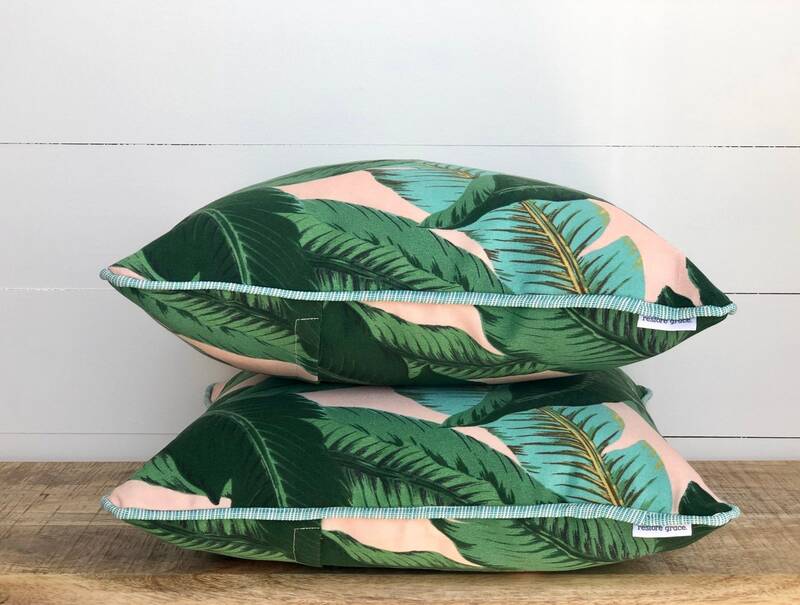 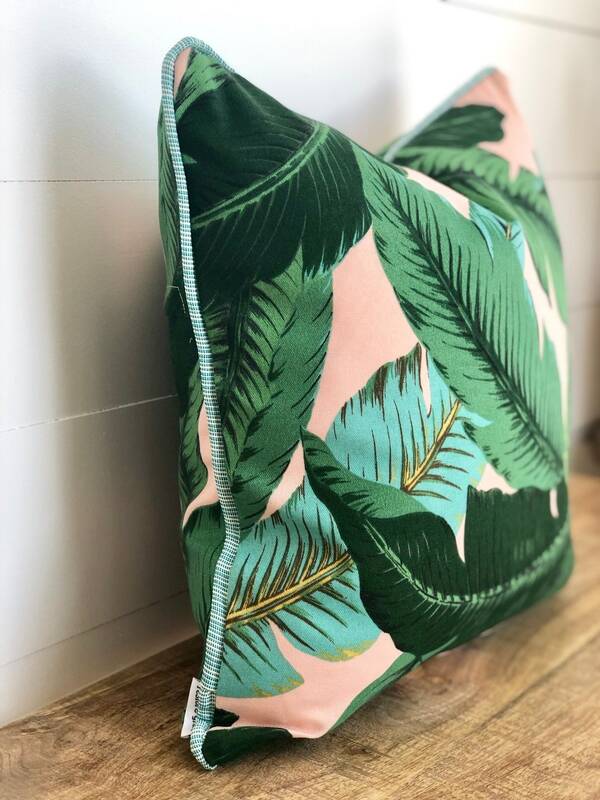 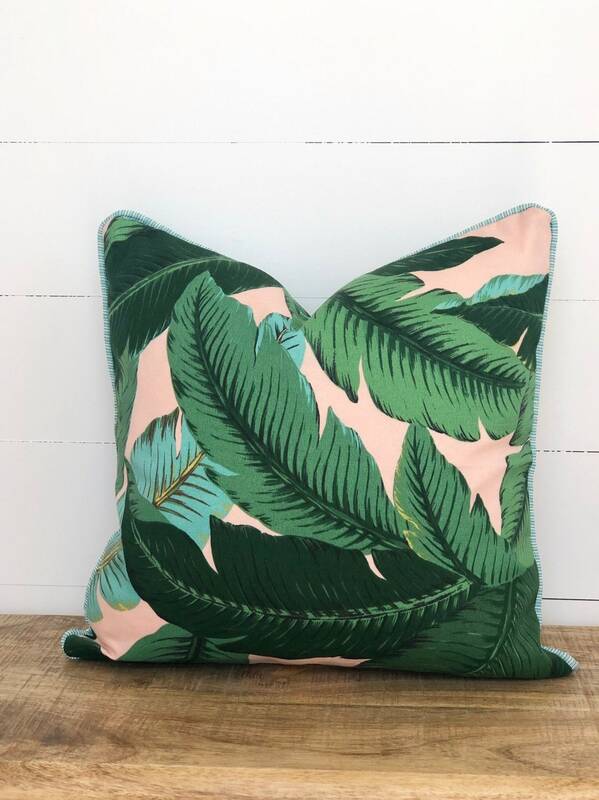 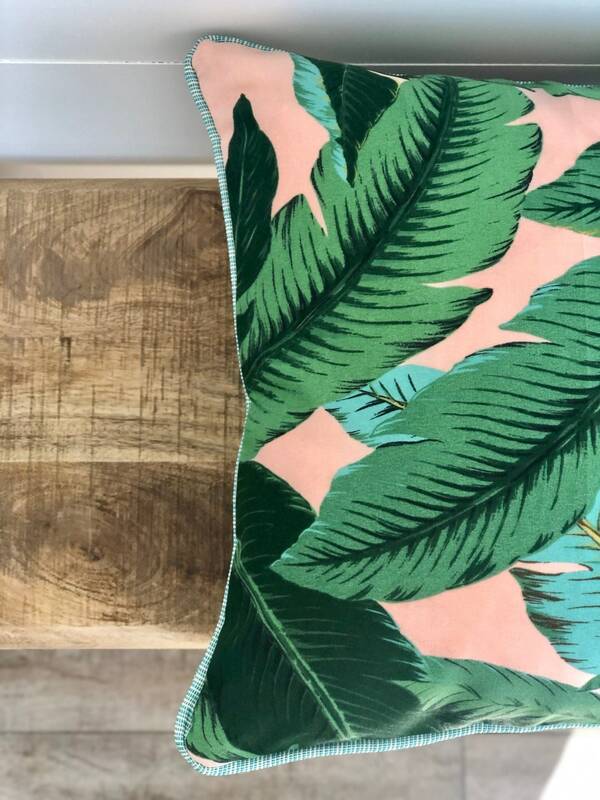 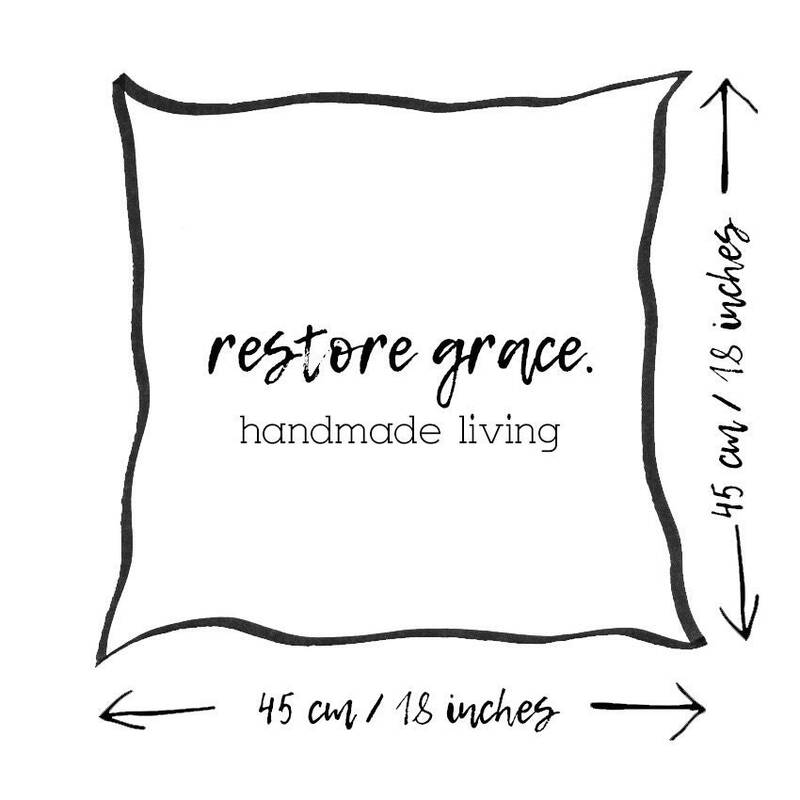 Pair these with plain pinks or aqua to make these palm leaf cushions pop or pair with different tropical palms to enhance that jungle, tropical vibe!